Firstly, I’d recommend ignoring the Car Advice review of this vehicle in it’s entirety. Clearly the test team is either biased or didn’t drive this car the way it was intended to be driven. Amongst a sea of common, overpriced, glorified and unimaginative European SUV’s that fill Australia’s roads; the QX70S sticks out from the pack and for all of the right reasons. It’s presence demands attention, not by being ostentatious like it’s rivals but simply by being itself, bold and daringly individual. It’s styling is unmistakably confident and truly timeless, and that confidence is felt behind the wheel in spades. It’s a rare sight on the roads, and that makes it special in a way that no other high performance SUV can be. It’s nice to be an individual. Built upon the 370Z FM chassis, the QX70S is a true sports car that was designed with performance as it’s primary concern. Tactile, precise and effortlessly well composed in the most aggressive of driving situations. Unmentioned by CarAdvice, the QX70S outperformed the Porsche Cayenne Turbo S and Macan S both in the slalom and skid pad. Also unmentioned is that the QX70S utilizes the ATTESA E-TS all-wheel-drive system with intelligent torque split, made famous by the R35 GTR. 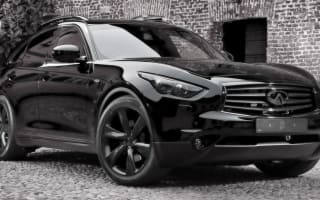 This is without question the best AWD system in the world and the QX70S makes great use of it by turning it’s weight into an advantage rather than a disadvantage. It’s 7 speed transmission is a great piece of kit, but it’s often accused of gear hunting. Again, driver/reviewer error. If you’re in a situation where fast shifts and quick response is required, use the paddle shifters! That’s why they’re there. The QX70 also features downshift rev matching, a sweet bit of kit that ensures that it’s always ready for you to plant the foot in the correct gear. In standard Auto/non sport mode the car is trying to achieve improved efficiency, not quick shifts. The downside to the QX70S is that the 5L VK50VE V8 is no longer available, that was one of the most extraordinary engines Nissan has ever produced. But as a positive, the popularity of the available 3.7L V6 VQ37VHR opens up a lot of exciting possibilities, including the ability to easily retrofit the QX70S Design with a wide array of Supercharger and Turbo charger kits suited to the 370Z and Skyline family of vehicles; a common practice in the USA and throughout Russia. Reliably allowing in excess of 550HP and 600Nm on stock engine internals. Otherwise, the naturally aspirated engine is more than enough grunt for most and it’s power delivery is second to none. Plant your foot and smile! Chopped! Regarding visibility, there are no such issues as described in the Car Advice review. It’s possible that the driver who reviewed this vehicle was in a neck brace and blind. The 360 degree around view monitor combined with correct use of the vehicles mirrors provides a clear view around the entire car at all times. Acknowledging it’s extraordinary mechanical composition. A key factor to consider with the car is value. Car Advice listed a base level Porsche Macan as a viable alternative, yet neglected to mention that by the time you’ve equipped the Macan with the options that come standard on the QX70 S Design it’s then almost double it’s original price. Servicing cost is dramatically higher than the Infiniti, it’s less reliable, it doesn’t perform as well in or out of corners; and attracts an extraordinary amount of luxury car tax. Meanwhile, the QX70S doesn’t have options; it’s fully loaded as standard and the dealer will be happy to negotiate prices where a Euro dealer won’t. Bang for buck, there’s not a better premium SUV in the world at the price-point. I can’t speak a bad word about this car, I really can’t. I’ve driven pretty much every SUV on the road, yet none of them achieve what the QX70 does; it’s a true gem and it’ll turn heads like to other SUV on the road, and often those heads will be owners of premium Euro SUV’s whom can’t help but feel a little bit intimidated by the idea that you’ve paid less for so much more. Test drive a QX70 and give it a good flogging! It’s a car that was designed to be driven and driven hard! 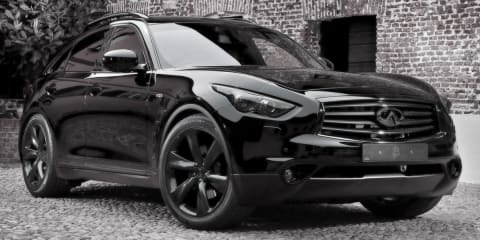 Read the CarAdvice 6/10 review for the QX70.